There are so many incredible wedding planning websites out there, but The Knot was by far my #1 choice. It was so highly customizable and enabled me to move around deadlines and timelines that fit our crazy schedule. I loved having one space where all of my wedding check lists, ideas, and notes could be poured into one page. It seamlessly connected all of my information to a website and was SUPER easy to manage my registry. I even am using their RSVP feature for guests instead of doing paper RSVP cards. The only “con” thing that stood out to me was the fact that it did not have a feature to organize your seating chart. I saw this feature on other websites and thought it was amazing! Etsy is easily one of my favorite vendors because we were able to get amazing customizable pieces at an incredible price. I truly just had to search what I was looking for and someone, somewhere made it. Plus the vendors are so friendly and are willing to work with you on anything! This might be one of the best kept secrets of Google Sheets, but there is a FREE wedding planner template in that is HIGHLY customizable and so user friendly. Although The Knot has a lot of the same features, I preferred the Google Sheets Wedding Planner as a “back office” that had my raw budget, guest lists, and specific information. I could easily share it with my coordinator, parents, and future hubs too! Pinterest is a blessing and a curse when planning a wedding. There are SO many incredible ideas and resources but that also leaves so much room for comparison. I constantly found myself comparing my situation and vision to what I was seeing which can be a really defeating feeling. My biggest piece of advice - think about the 5 most important things to you on your wedding day and create your dream wedding together WITHOUT Pinterest. Instead, use it as a supplemental tool to fuel your already established ideas rather than having the often staged images of Pinterest hinder your perspective! This is your wedding day, the most unique and incredible part is adding YOUR story and YOUR couple personality to it. I LOVED using Google Slides to organize everything. I took pictures of each part of the venue and added them to a slide, then I would drag photos from Pinterest, items I have purchased/created, and other friends weddings that I wanted to have associated with that part of the venue. It was then so easy to share my vision with our coordinator, the venue, and other vendors. They simply had to scroll to their slide and could see how I wanted the pieces in association to what the venue really looks like. A lot of time there isn’t a “dry run” where you get to see everything set up before hand, so this was especially helpful ensuring there was a cohesive vision! I ordered a ton of my outfits for various pre-wedding events (engagement pictures, bridal shower, bachelorette party, rehearsal dinner, etc) and even my bridesmaids gifts from there! They have incredible pricing and ship for free if you spend over $50! Remember that magazine you would get as a kid right before your birthday and pick out EVERYTHING that was themed for your special day? Well, Oriental Trading was clutch to a 9 year old birthday party and they are still thriving online today! They have amazing ideas and affordable wedding decorations too! Basically, Oriental Trading is still helping you celebrate your big day - just wedding edition. They have an entire store called “Marry Me” dedicated to it. Due to the circumstances, we ended up doing paperless Save the Dates! It was a great way to say time (and money!) on Save the Dates. Plus, I was able to directly link to our wedding website on The Knot and people could RSVP to the wedding right away. Paperless Post is essentially like Evite, but less centered on the guest lists and numbers, more focused on the invitation design itself, and is way more aesthetically pleasing. Also, you can have guests either RSVP directly on Paperless Post or you can seamlessly link it to your wedding website. We used both features - the Paperless Post RSVP for the Bridal Shower and the website link for guests to RSVP on The Knot. They worked out perfectly in both situations and I am so glad I used Paperless Post instead of worrying about mailing Save the Dates! I love love love Minted. It is my go to paper resource for ALLLLL things paper goods! They have so many incredible selections at very affordable prices, and since each of the vendors is an individual company they are willing to help you customize and create your dream wedding invitations. 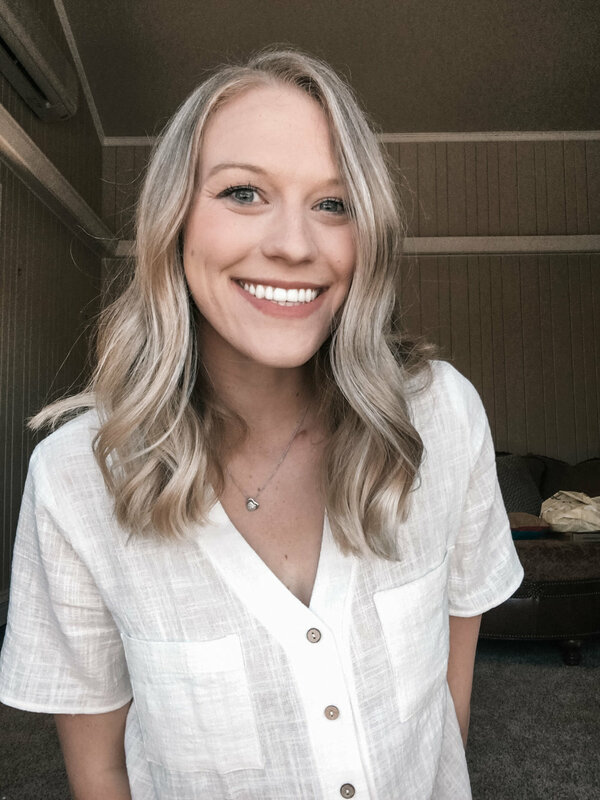 I probably searched over 15 different online wedding invitation websites for the perfect one and kept coming back to Minted for its innovative, unique, and customizable invitations. The best part - nearly all of their wedding invitations comes with an entire suite so I was able to get my invitation, envelopes, table stands, name cards, and other decorations to match perfectly! 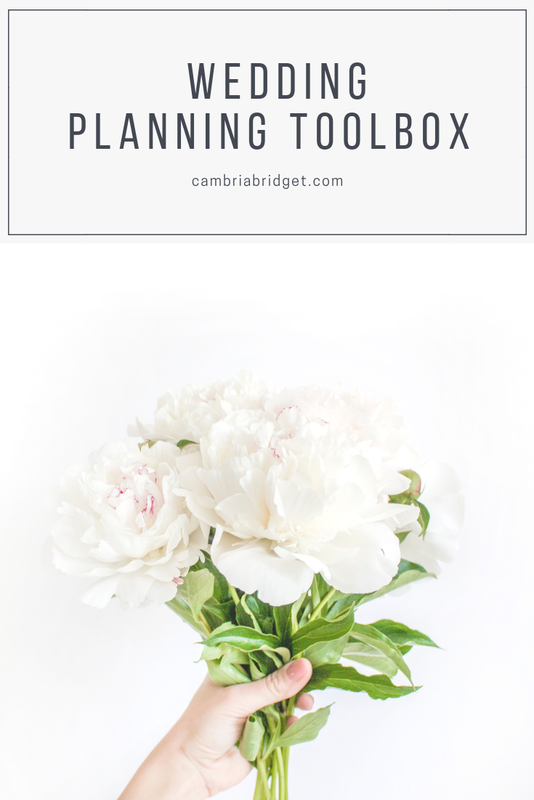 These resources have helped me stay so much during this planning process. Military weddings are HARD- the unknown date, not being able to lock down vendors, and the constant changing information. I am so excited to share this entire journey (the highs, the lows, and the in-between moments) with you once the big day has passed! So stay tuned! Brides to be - what are some of your favorite wedding planning resources? What’s in your toolbox? Have you used these resources before? What did you think?